With so many memorable moments in the history of the NFL, how can you narrow them down to only feature the top 5 greatest moments? From improbable catches to the great dynasties, the heroic quarterbacks to the legendary coaches, the most notorious collapses to the most incredible comebacks, it's not an easy task to pinpoint the most unforgettable moments in the history of the NFL, but that's precisely what we set out to do. As one of the biggest sporting events in the world, it's also no surprise that the NFL creates some of the biggest betting action around the world. Whether it's following the enormous wagers announced by celebrities or browsing through some of the shocking proposition bets, the NFL is without a doubt the most exciting sporting event for gamblers every year. We, therefore, decided to incorporate the NFL's greatest moments along with the top 5 largest bets placed in the history of the National Football League. The largest bets all occurred during a Super Bowl and each of them reached a $1 million or more. In 2003, the Eagle's season experienced an abrupt halt. 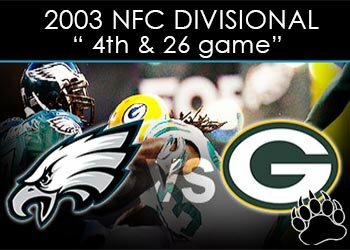 During the Divisional Playoffs, the Philadelphia Eagles were trailing by 3 points against the Green Bay Packers in the final quarter. With just over a minute remaining in the game and a new set of downs, an incomplete pass was thrown by Donovan McNabb. Philadelphia was penalised before 2nd down for a false start and once play got underway, McNabb was sacked resulting in a loss of 11 yards. Now facing 3rd down along with 26 yards to get a first, another incomplete pass was thrown by McNabb. This required the Eagles to pick up 26 yards in a single play otherwise their NFL season was over. Green Bay was ready to celebrate at this point as it certainly meant an NFC Championship berth. However, McNabb provided the perfect throw to Freddie Mitchell, leading to a 28-yard gain. David Akers kicked a field goal and another during overtime to seal the win for the Philadelphia Eagles. Even though the Green Bay Packers didn't make it past the Divisional Playoffs in 2003, they did manage to make headlines in 2011 when they played against the Pittsburgh Steelers at Super Bowl XLV. What makes this Super Bowl so significant is the fact that Birdman Williams, the co-founder of Cash Money Records, placed an insanely large bet of $1 million on Green Bay Packers (-3) purely because his friend Lil Wayne is a massive Packers fan. After the Green Bay Packers won Super Bowl XLV, Birdman tweeted that he just cashed in a mil. 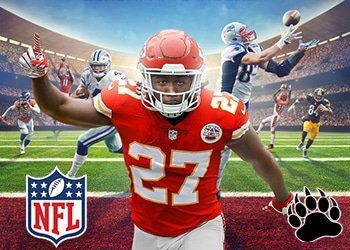 Although you might not have $1 million to wager on your favourite NFL team, you can still bet and make a profit at Pinnacle Sports on a wide selection of betting markets. In 1978, with the clock ticking down during the fourth quarter of the game, most teams would have simply kneeled the ball to run down those final few seconds of the game, especially against their biggest rivals. Instead, the New York Giants decided to attempt a run against the Philadelphia Eagles, resulting in an unforgiving outcome. Joe Pisarcik, quarterback to the New York Giants, tried to hand the ball to Larry Csonka, but unfortunately, the ball fell to the ground and was scooped up by Herman Edwards, cornerback to the Philadelphia Eagles, who sprinted 26 yards to the end zone to win the game. 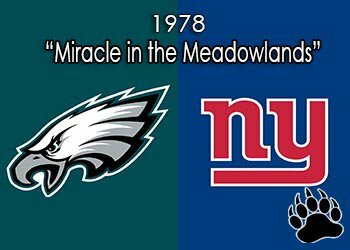 The 1978 Miracle at the Meadowlands completely changed the season for both teams as well as the way teams handle the last few seconds in a game. In 2012, after learning a great deal from their previous mistakes, the New York Giants made it to Super Bowl XLVI to play against the New England Patriots. With Birdman still feeling high from the Green Bay Packers win, he decided to pledge a $5 million bet on the New England Patriots and challenged anyone to match his bet. Although he couldn't match the same amount, 50 Cent was the only person to answer his call and placed a $1 million bet on the New York Giants at +2.5. The underdogs went on to win the game, leaving Birdman to rethink he's outrageous NFL bets going forward. 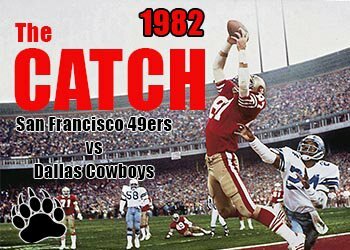 In 1982, during an NFC Championship game between the Dallas Cowboys and the San Francisco 49ers, the Cowboys had a 27-21 lead with only minutes left on the clock and knew the 49ers had to drive a total of 89 yards to score a touchdown and win the game. Joe Montana managed to lead the 49ers down the field, ending up on the Cowboys 6-yard line with just under a minute left in the game. On a 3rd and 3, Montana initially wanted to throw the ball to Freddie Solomon but was unfortunately covered too well, so he had to scramble around, avoiding the Cowboys pass rush, and locate another target. Fortunately, Dwight Clark worked his way towards to rear end zone, and Montana successfully made a pass that only Clark could catch. Clark jumped high into the air and barely got his fingers on the ball to score the winning touchdown. The 49ers went on to win Super Bowl XVI against the Bengals that same year. In 1989, the Cincinnati Bengals sought revenge against the 49ers, while the 49ers were aiming to become the 2nd team to win 3 Super Bowls in NFL history at Super Bowl XXIII. The championship game is remembered for Joe Montana's 92-yard touchdown drive during the final minutes of the play. However, in sports betting circles, it's widely recognised as the game that brought in a $1 million bet by gambling legend and casino owner Bob Stupak. Bob Stupak, also referred to as Mr Vegas, bet a $1 million on the underdogs, taking 7 points from the favoured 49ers. It was considered the start of Stupak's best gambling years as he went on to win the gold bracelet at the World Series of Poker and the Caesar's Palace Super Bowl of Poker, all in the same year. Wish to wager on an NFL game yourself? See if you can win at Sports Interaction by placing a bet on the next Bengals game. 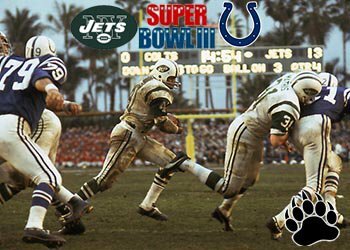 As far as memorable moments go in the history of the NFL; how could we not include the New York Jets' win against the Baltimore Colts at Super Bowl III? After two Super Bowl blowouts, no one considered the likelihood that the AFL would ever be competitive against the NFL. Most coaches and even commentators believed it would be years before the leagues successfully merge. The New York Jets, AFL Champions at the time, were considered the underdogs against the heavily favoured Baltimore Colts who were considered one of the greatest teams in the NFL. Before the start of the game, Joe Namath received a heckle from a fan in front of the press to which he responded, "We will win the game, I guarantee it." It was a laughable statement before the start of the game, but after winning the game 16-7 and claiming the MVP award, Namath had the last laugh. Super Bowl III opened the doors for the two leagues to merge, legitimising the AFL, and leaving Namath as the most entertaining character both on and off the field. in 1984, the Baltimore Colts were relocated to Indianapolis, Indiana and started playing as the Indianapolis Colts in the same year. In 2010, the Indianapolis Colts played against the New Orleans Saints at Super Bowl XLIV which also brought in an enormous moneyline wager. Several sports betting sites were rather confident that the Indianapolis Colts would win their second Super Bowl in 4 years and one celebrity felt just as confident, dropping $2 million on the Indianapolis moneyline. However, Phil Ivey, the 10-time World Series of Poker bracelet winner, was denied the pot thanks to Drew Brees and the New Orleans team. Think you can do better than Phil Ivey when it comes to betting? Why not place a bet on the NFL at Bodog to find out? In 1987, during an AFC Championship game between the Denver Broncos and the Cleveland Browns, John Elway, quarterback to the Denver Broncos, led his team 98 yards in just 15 plays to tie the match with only 37 seconds remaining on the clock. The game went into overtime and Denver managed to win the game 23-20 after a successful field goal. 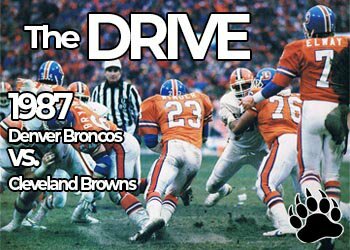 The comeback of the Denver Broncos and John Elway is described as 'The Drive', the infamous march orchestrated by Elway against the Cleveland Browns. The Denver Broncos were also part of the most significant Super Bowl profit ever made by sportsbooks. In 2014, the Denver Broncos played against the Seattle Seahawks at Super Bowl XLVII. The favoured Denver Broncos self-destructed and lost 8-43 against the Seattle Seahawks, making it one of the most lopsided matches in Super Bowl history. This allowed sportsbooks to claim $19.7 million in profit and it's estimated to be the biggest Super Bowl profit ever made by sportsbooks. We invite you to visit our sports betting section where more articles and information on the most popular sports markets are available. Enjoy the top 5 slots for the holidays provided by some of the leading software developers in the industry to unwrap reel prizes during the festive season. Read about the upcoming eSports tournaments of 2018. Get introduced to the world of eSports and how to make money with eSports at the top betting sites. Read about the 5 most memorable moments in the history of the NFL as well as some of the biggest bets ever placed on NFL games. Discover the best odds and predictions for betting on the 2018 World Cup on one of the sportsbook sites recommended by our team of experts. Warren Buffett has chimed in giving his opinions on Bitcoin saying it will come to a bad ending. What do you think? Are all cryptocurrencies doomed to fail? Discover the largest online gaming companies to hold positions on the top 10 list for the 2017 year as being the most popular and most profitable in the industry. Enjoy the multiple Halloween casino promos and take advantage of some great bonus offers at top casino sites featuring Halloween themed games online in 2017. Get ready for the 2017/18 NHL season with great betting options, superb odds and endless action as teams adapt to new rules and battle for the Stanley Cup. Relax after all the chocolate and bunny mayhem with Easter casino bonuses for 2017 including slots tourneys, Easter Egg Hunts, great bonus prizes and more! Everything you need to know about the Toronto Blue Jays MLB betting odds for 2017. If you bet on baseball our guide to the world series betting odds is a must. The NCAA Basketball Tournament is almost upon us, with March Madness coming into full swing. Read all about the odds for betting on the championship and more! Get the latest info on this years 2017 Oscar odds. Find out who is anticipated to win in the "Big 5" and where you can place bets on the 2017 Academy Awards. Get revved up for the 2017 Daytona 500 race with our NASCAR betting odds guide. View the schedule and place your moneyline bet on Daytona 500. Who's gonna win?! Super Bowl LI is almost here and we have compiled all the information you need including the best Super Bowl betting odds, betting lines, prop bets, and more! Find out everything you need to know about virtual reality and how it is being used in online casinos today and in the future as well as augmented reality. Read about virtual reality through the eyes of an expert, in our newest interview with KamaGames' Director of Global PR Sam Forrest. Everything you need to know about gamification and how it is used in online gambling. More and more online casinos are using this process and we tell you how. Read our latest interview with OfferCraft CEO, Aron Ezra, as he discusses the leading-edge technology called Gamification, and the effect it has on industry. Read this interview with Offercraft CEO. We discuss Las Vegas, industry in Las Vegas and how it's changed over the years, including where it's going. The growth of the Las Vegas Gambling industry spans from 1931 to date and we explore everything from online gambling, casinos, Vegas entertainment and more. We look at resources for online casino gambling addiction including how to recognize you have a problem as well as the impact of eSports and Fantasy sports. Read this discussion with recovering gambling addict, Thomas Gagliano, and discover the perspective of someone immediately affected by this struggle. Read this interview for insight into the intricacies of gambling addiction. Dr. Tina Tessina gives her professional opinion and advice on the topic. If you're looking to bet on the Olympics, these Canadians could turn their Rio 2016 medals in cold hard cash with advantageous betting odds. Planning for a long poker tournament? See our list of the top 10 best foods for poker tournaments to get the most out of your diet. With such long betting odds to win the NBA title, the Toronto Raptors may present the best value with the 2016 basketball playoffs around the corner. Toronto's baseball team had an incredible run last year and that success has stirred up interest for early Blue Jays betting odds to win in 2016. NBA owner Mark Cuban, known more for bashing referees and his role on Shark Tank, is at the forefront of the fight to legalize sports betting. And why wouldn't he be? Cuban has made major investments in different aspects of the industry that would pay off in a huge way if and when sports betting is legalized in the United States. The topic of offshore online gambling companies in Canada is a bit touchy since it's a legal gray area, but here's why you shouldn't be worried. eSports betting in Canada involves competitive video gaming on StarCraft 2, Dota 2, League of Legends as well as other eSports tournaments to bet on. The top ten biggest online gambling companies in the world are all set apart by different things, and the controversies these sites have experienced are shocking. The recent trades and hot winning streak of the Toronto Blue Jays have the Canadian baseball team topping betting odds to win the 2015 World Series. Grizzly Gambling's 2015 betting guide for Wimbleton is all Canadian gamblers need to enjoy this potentially lucrative tournament. Gambling stereotypes based upon gender will persist by those forward thinkers tracking the tooth fairy. Doritos Roulette Challenge : Is there anything like it in gambling? The Doritos Roulette Challenge is going viral and Grizzly Gambling compares the phenomenon to other gambling bets and casino games. Is Fantasy Sports Betting Considered Online Gambling? A look at some of the latest provincial updates in Canada's regulated online gambling market at the end of 2014. We look at Quebec, Ontario, BC/Manitoba, Alberta and Atantic Canada. Can you really win at Daily Draft Fantasy Sports? Can you really win at Daily Fantasy Sports? New research could prove that DFS games are only for suckers with the sharks getting the majority of the winnings. The 2015 British Grand Prix Is Sun July 2015 - Can Rosberg Win? The 2015 British Grand Prix will be held at Silverstone on Sun July 5, 2015 and promises to be an enthralling event. Can Rosberg maybe repeat his exploits of Austria? If you have a smart TV you can now play amazing casino games like blackjack, roulette and slots using your TV and internet. Social gaming content is also available. Daniel Negreanu may be the most recognized Canadian in poker, but more influential Canadians in the profitable online gambling industry exist. An overview of the profitability of the online gambling industry in 2013, including future predictions on the US, European and Global markets. Toronto Casino or Online Gambling Site - Which First? News and updates on the proposed Toronto Casino as well as information on the future of the new Toronto online casino. Canadian gaming grants are offered in several provinces including Ontario, BC and Saskatchewan. Read more about the gaming grant programs in Canada. Canadian-based company Amaya Gaming could provide an interesting buy for stock investors with its USA online gambling activities. Canadian online gambling is to be impacted by the 2014 Federal Budget which could mean stricter laws for international casino sites. Gaming Labratories International (GLI) regularly tests and audits the random number generator (RNG) of online casino software to ensure fair gaming.